Americans among us, rejoice! For this weekend will be a long one! Need a place to talk about your Memorial Day plans? Welcome to Kotaku's official forum, known affectionately as Talk Amongst Yourselves. This is the place where we gather on a daily basis to discuss all things video game and existential. Want to talk about new games, old games, games that aren't even out yet? Knock yourselves out! 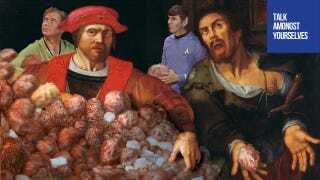 This highly illogical TAYpic by dabeezkneez84 beams Kirk and Spock smack dab into the "Rich and Poor" painting. And Star Trek's famous duo come with Tribbles. 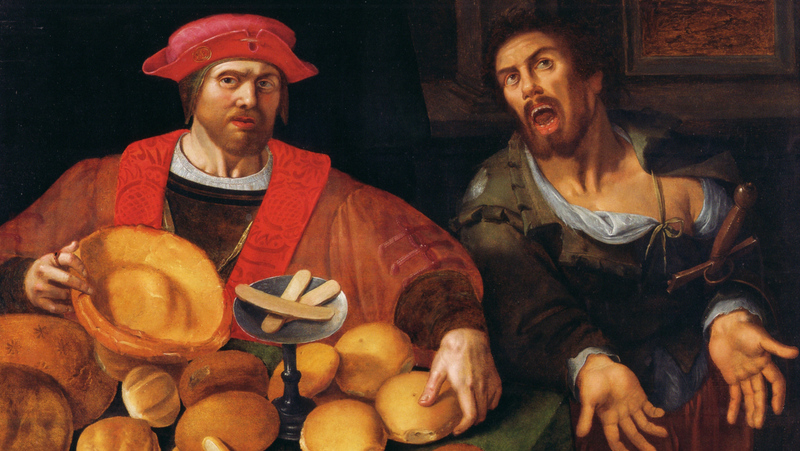 Sure looks like Angry, Impoverished Dude is going to eat that furry extraterrestrial, don't it? You can do funny things with pictures, right? Want everyone on this fine web forum to see? Here's what you do. Post your masterpieces in the #TAYpics thread. Don't forget to keep your image in a 16x9 ratio if you want a slice of Talk Amongst Yourselves glory. Grab the base image here. Don't forget to keep your image in a 16x9 ratio if you want a slice of TAY glory. The best ones will be featured in future installments of Talk Amongst Yourselves.